best place to live in the US ? The best place to live in America, taking into account home affordability, job prospects and quality of life has been revealed. 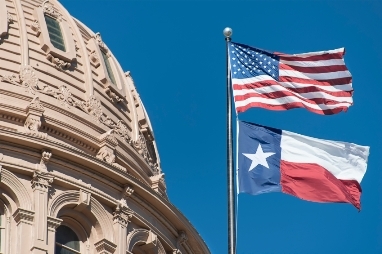 A report released Tuesday by US News and global rankings firm World report says that the Texas state capital Austin has taken the top spot this year, bumping Denver into 2nd place with San Jose moving up to 3rd from 10th a year ago. Also gaining ground in this year’s Best Places to Live rankings is Washington DC which moves to 4th place (last year it was 8th) while Fayetteville in Arkansas is 5th. There were significant jumps for Boston, MA which was 30th last year but now enters the top 10 at 8 thanks to a sharp fall in unemployment; and Salt Lake City also just makes the top 10, from last year’s 27, due to its improved cost of living. The building of new homes remained tepid in the last quarter of 2016 due to regulatory and supply-side challenges. That’s the conclusion of the National Association of Home Builders/First American Leading Markets Index which shows that nationally the market is at 99 per cent of normal economic and housing activity. However, when the index is broken down, it reveals weaknesses with single-family permits running at 52 per cent of normal activity, at odds with strong employment and hot house prices. Rising shortages and costs in both labor and developed lots remain top concerns among builders, NAHB’s research shows. Banks, mortgage lenders and insurers are being warned about a potential exodus in the event of a cyber attack, as a study reveals the sector has a gap between customer expectation and reality. Banks and other financial services firms enjoy huge levels of trust from their customers (83 per cent) but only 21 per cent of executives polled by global consultancy Capgemini are highly confident in detecting a cyber breach, let alone defending against it. The study across 8 countries, including the US, reveals that 65 per cent of consumers consider trust in data privacy and security when choosing a bank or insurer; and 74 per cent would leave in the event of a breach. Despite this risk, the study revealed that 71 per cent of organizations do not have a balanced security strategy nor strong data privacy practices. This entry was posted in real estate, robertjrussell and tagged florida, living, resident, texas. Bookmark the permalink.